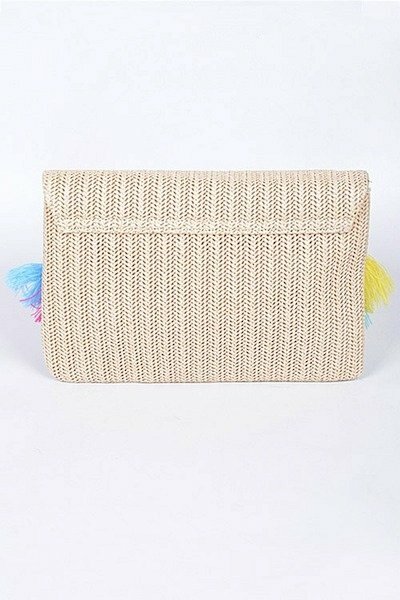 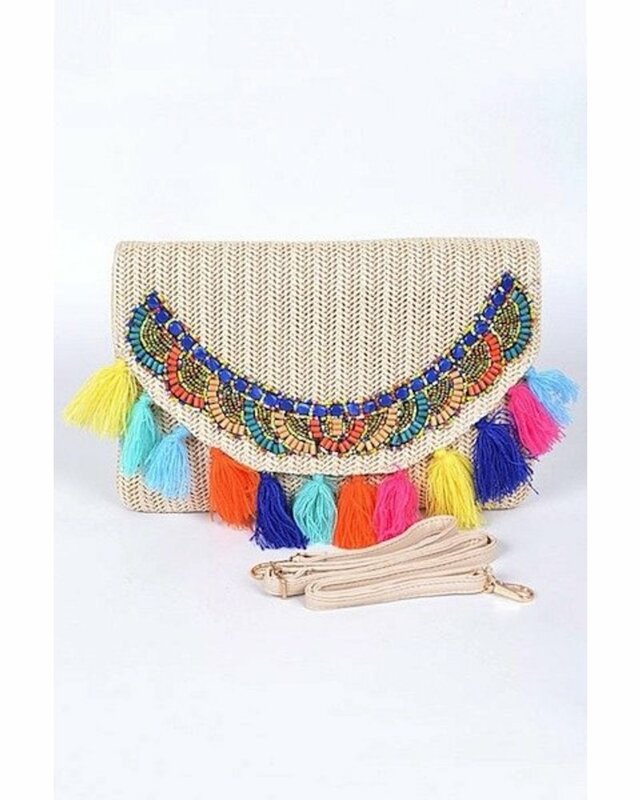 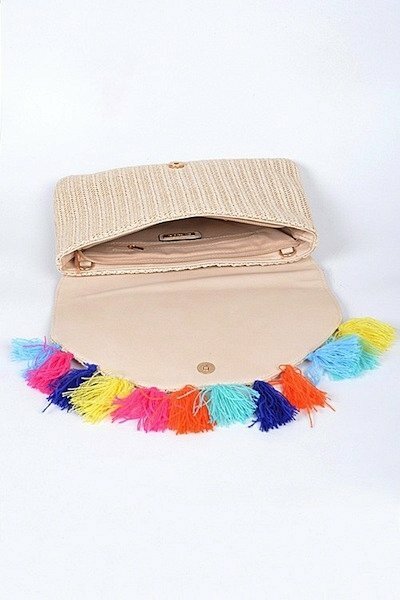 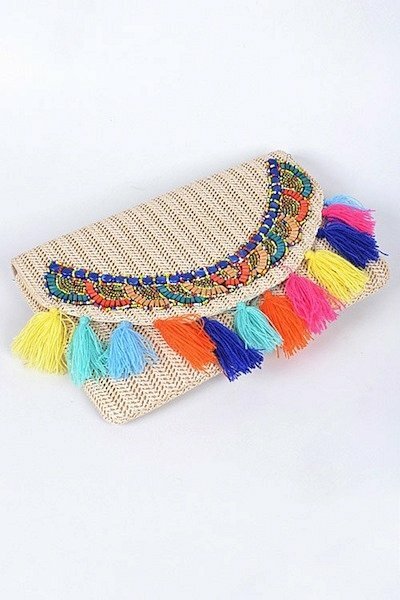 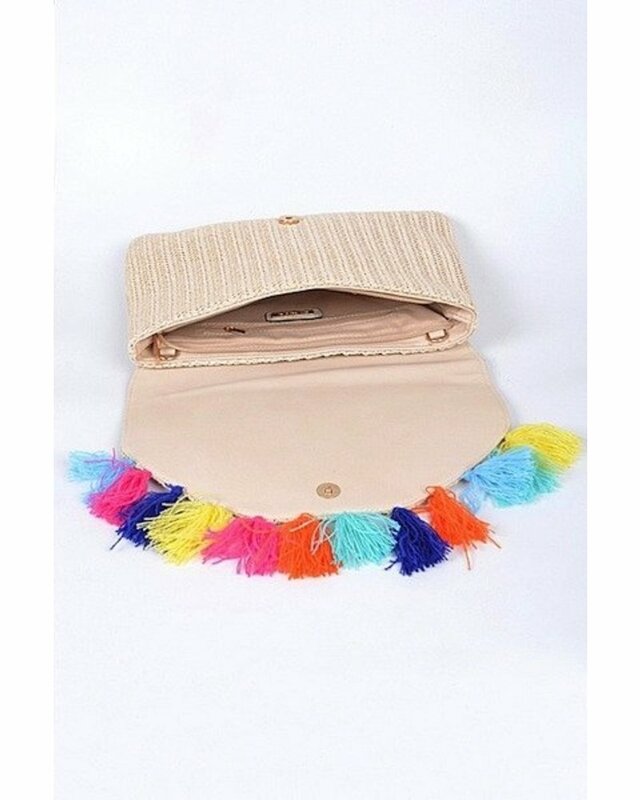 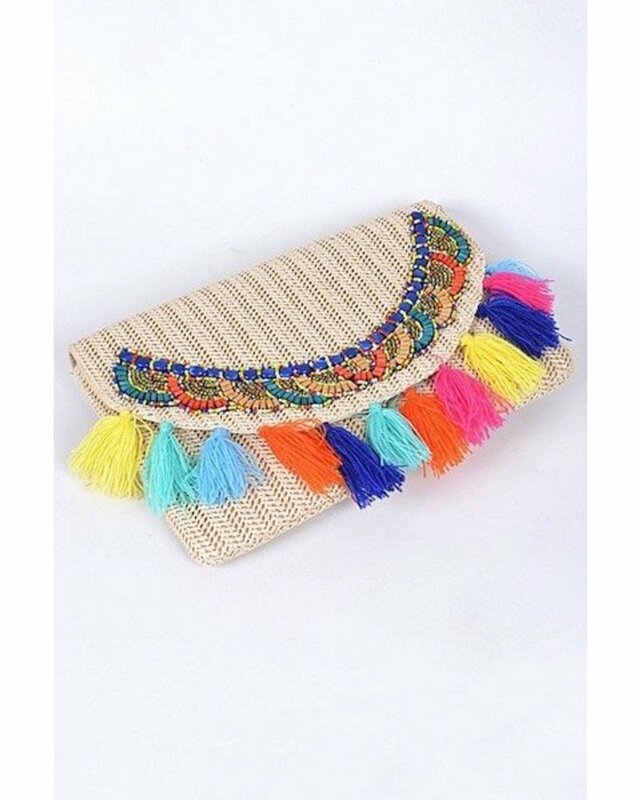 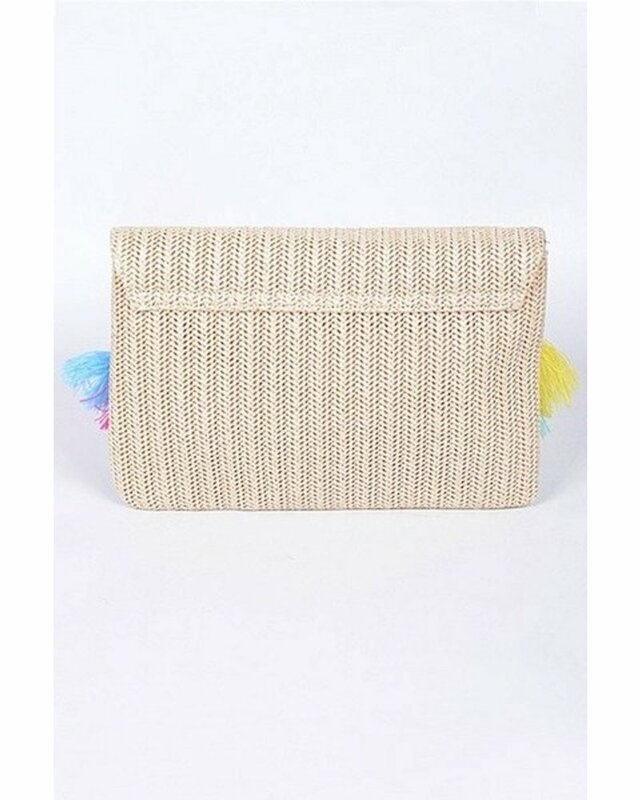 Straw clutch with bead detail and tassel trim. 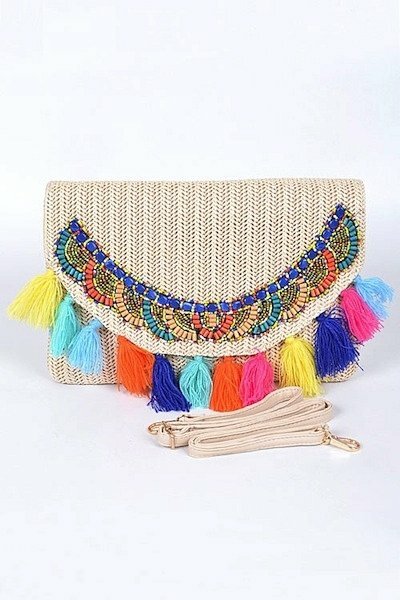 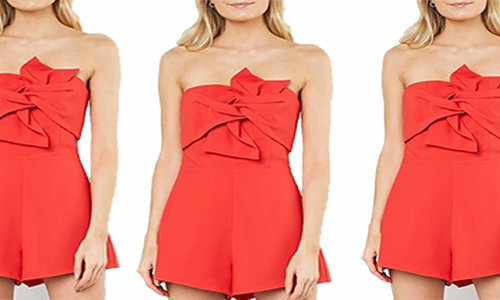 Detachable strap. 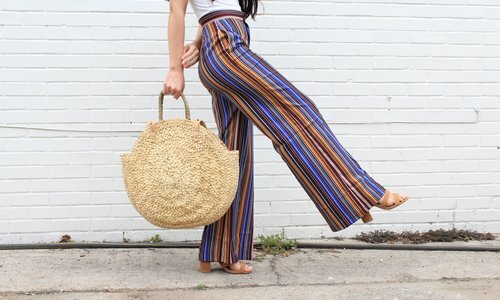 Inside pockets.